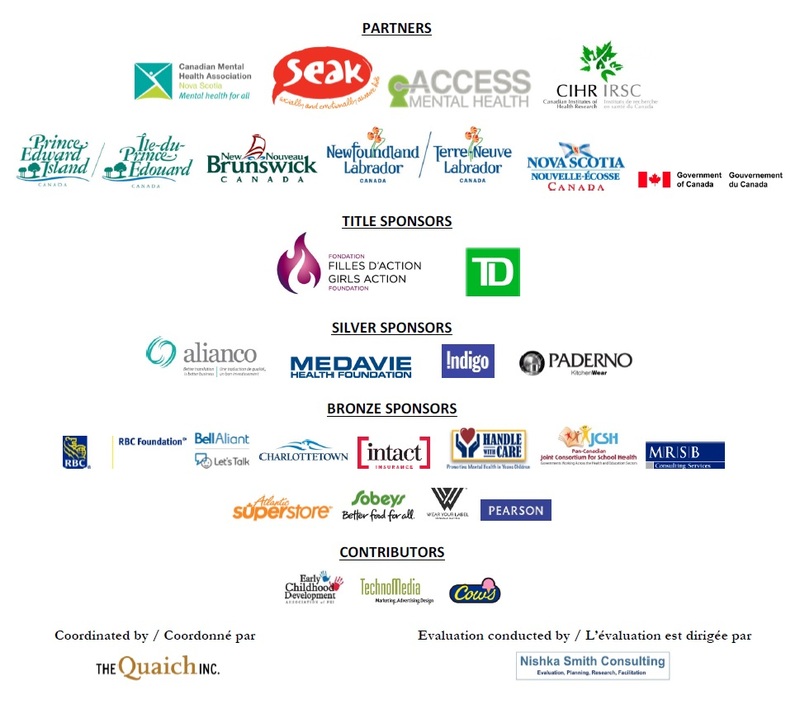 We would like to acknowledge the generous support of the partners and sponsors of the Symposium on Child and Youth Mental Health. Thank you! We acknowledge the support of the Government of Canada through the Department of Canadian Heritage, for simultaneous translation. We would like to thank Girls Action Foundation and TD Bank for their generous contributions to the Youth Leadership Program, and we would like to acknowledge the support of Handle With Care in the development of the Children’s Program. Thanks to Holland College’s conference services for working with us since 2011 to host quality events.